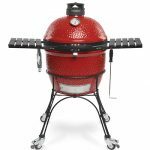 Uuni Pro Pizza Oven Review | How does it stack up against the Uuni 3? Uuni is a pizza oven company that was launched on Kickstarter in 2012 and was met with huge success. Uuni reached its funding goal in two weeks and went on to raise 220% of the goal by the end of the campaign. 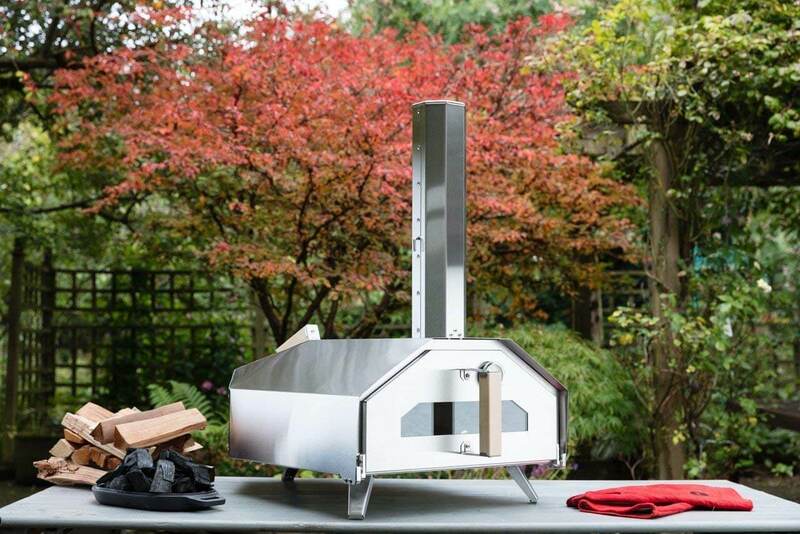 It’s grown ever since then and is fast becoming one of the best pizza oven brands around. It’s main model and one of the most popular pizza ovens on the market right now is the Uuni 3. This is a wood fired pizza oven that uses wood pellets as fuel. We reviewed it last year and absolutely loved it. You can read our Uuni 3 review here. Today we’ll be taking a look at the Uuni 3 upgrade, with out Uuni Pro review. 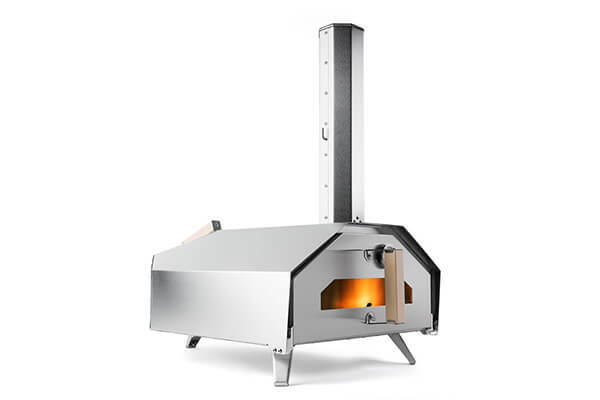 A multi fuel pizza oven that is said to be one of the most versatile pizza ovens on the market. The Uuni Pro takes the same idea as the Uuni 3, it’s a small, wood fired pizza oven that simple to use and relatively cheap to buy and run. The Uuni Pro started life as an IndieGoGo campaign. This campaign did noticeably better than the original Uuni campaign and made a staggering $1,020,265 which was 1286% more than they were expecting. Four ways to fuel the pizza oven – Charcoal, wood chunks, wood pellets and a gas burner. 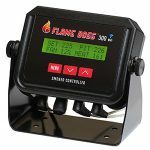 High performance, reaching 932°F (500 °C) in around 15-20 mins. Great range of accessories, from addition burners, to skillets and more. If you’re looking for a premium pizza oven that can cook pizzas up to 16” then the Uuni Pro is just that. It’s sleek aesthetics, fantastic performance and versatility all completely make up for its quite high price tag. 31.1 x 19.29 x 29.13 inches (790 x 490 x 740mm) (HxWxL) and 57lbs (26kg) when fully assembled. 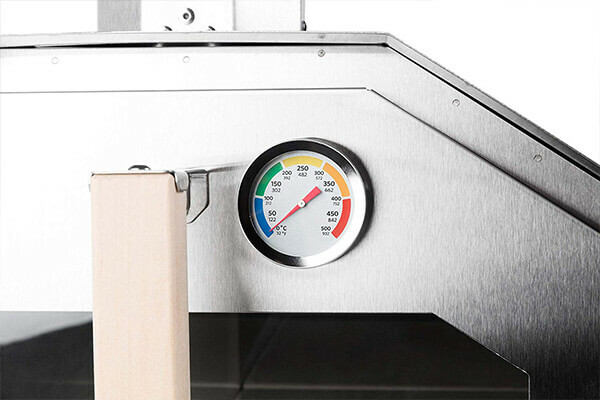 The surface of Pro is 17.7 x 17.7 inches (450 x 450mm), allowing you to bake a 16″ pizza. What’s special about the Uuni Pro is the burner. 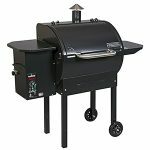 It currently is able to be run on charcoal and wood, providing much more versatility to your cooking. 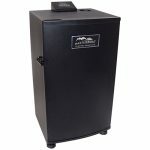 In addition to this you can pick up a wood pellet burner, just like the Uuni 3 uses, at an extra cost. Uuni have released a gas burner attachment that can turn your Uuni Pro into a fully working gas pizza oven, increasing the versatility even more. This is currently only available in the UK and Germany. It’s made from 430 stainless steel with a ‘tripod’ leg design and is completely insulated with ceramic fibre. Seeing as it is technically transportable, it even has a ‘security loop’ – a unique feature which allows it to be secured to other garden furniture or a work surface. This can also useful for protecting against unwanted movement when cooking. The cordierite baking stones that make up to cooking surface of the Uuni Pro can handle high temperatures very well and will give a great finish to the bottom of your pizzas. Cordierite is one of the best materials for baking stones as it’s very thermally efficient and great at storing heat. To find out more about cordierite and baking stones, check out our guide to the best baking stones. 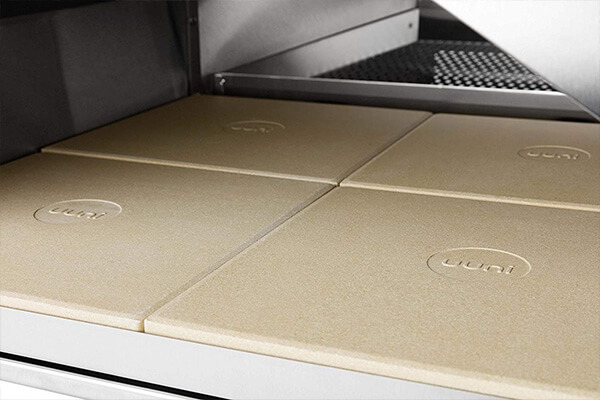 One of the really nice design features of the Uuni Pro is the addition of two front doors. Both of these doors are completely removable and simply click on in place. One comes with a small glass window, so you can see what is cooking inside. This door also has a built in thermometer. This is perfect for watching whatever it is you’ve got inside the oven cook. The next door is a pizza oven door that has a letterbox style cut out perfect for sliding your pizzas in and out. 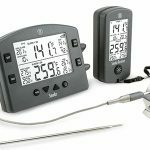 With the Uuni Pro you also get a good level of control over the temperature. There are dampers in the chimney that can be used to control the airflow and therefore the internal temperature. All very nice additions that make cooking on the Uuni Pro much easier. The design of the Uuni Pro is very similar to that of the Uuni 3. It uses the same style design of having a burner at the back and a chimney at the front to ensure that there is a sufficient airflow through the entire oven. This oven is noticeably bigger and has an inside clearance of 6 inches so you’re able to cook a lot more in the Uuni Pro. Casseroles, oven-roasted meat, fish and veg and even bread can all fit comfortably inside the new oven. The stainless steel wall of the Uuni Pro is now using a double walled design which helps provide additional insulation and reduces the outer wall discoloration. This also helps with fuel efficiency and aids in heating up to 932°F (500 °C), which the Uuni Pro can manage in around 15 minutes. We loved the Uuni 3 for being super easy to use, and the Uuni Pro is definitely on the same level. The new door and chimney controls mean that there is less panicking when you underestimate the internal temperature of the oven and accidentally burn your pizza. Now with the addition controls and doors it much easier to keep track of how you cook and how far along the cook is. 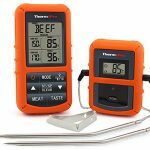 The included thermometer is nice to give a rough indication, but we’d highly suggest investing in a decent infrared thermometer to give you a very accurate temperature reading on the cooking surface. We do think the Uuni Pro’s wood/charcoal burner is a bit more hassle than the Uuni 3’s pellet burner. 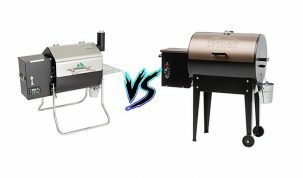 It does give you more versatility and if you already have charcoal and wood chunks then you won’t have to buy pellets like you do with the Uuni 3. However, using charcoal and wood chunks isn’t as easy as the pellets, which are incredibly simple. Luckily there is an attachment for the Uuni Pro that allows it to burn pellets so you have the option to go with that if you want. 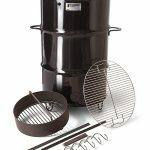 If you’re convinced of using the charcoal and wood chunk method we’d recommend using a chimney starter to get your coals going to like you would for any charcoal grill. One of the best things about the Uuni 3 is that it was fully portable. You could take it with you anywhere and have great pizza in just minutes. The Uuni Pro definitely isn’t portable. The Uuni team have called it “transportable”, which is true, but so are rockets. If you don’t mind a little bit of hassle then you’ll be able to manage transporting the Uuni Pro around but we think it’s best left set up in your back garden. Very versatile – The versatility of the fuel, the oven size and the temperature controls is fantastic! 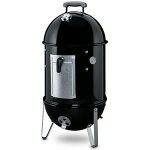 This is almost as good as a Kamado Joe in terms of versatility. 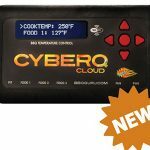 Performs Well – It heats up quickly reaching a nice high temperature, it’s surprisingly fuel efficient, it cooks pizza and other food brilliantly and it’s easy to use. We couldn’t ask for much more. Check out this list of other recipes from Uuni for more ideas at what you can cook. Great Range of Accessories – From the alternative fuel attachments to cast iron skillets, there are plenty of accessories to help you get more out of your pizza oven. Relatively Expensive – At almost twice the price of the Uuni 3 we’re not totally sure if that’s justified. You do get a fantastic oven that can do a lot but it is creeping towards the price of some of the higher quality Kamados which we think are better long term investments. 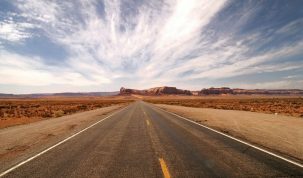 Slight Drops in Temperature – We have heard that some people have seen slight drops in temperature after a while and the burners need to be continually topped up to keep it at max temp. This seems to be quite rare and honestly, we’re struggling to find anything negative to say about it. Extras One of the most versatile outdoor ovens on the market. Performs incredibly well, quick heat up time for such a large oven. Good range of accessories. The oven is very deep, meaning that the heat distribution is fairly even. Can cook a huge range of food. Very portable – the legs and chimney come off with ease and make for easy transport. If you’re looking for a premium, high quality and versatile pizza oven then you’re not going to get much better than the Uuni Pro outdoor oven. 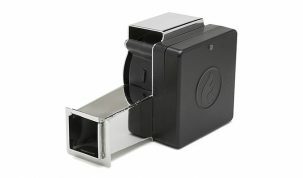 It’s sleek aesthetics, fantastic performance and versatility all completely make up for its quite high price tag. We recommend this for all pizza oven pizza. Keep your bases thin and don’t overdo it with the toppings. A thin base will cook a lot better in your pizza oven and fewer toppings will make it much easier to slide the pizza on and off of the peel. As the back of the Uuni reaches the highest temperatures, you’ll need to spin the pizza around during cooking. If you are cooking with temperatures around 900 °F then we highly recommend you pay full attention to it and even keep a timer. It is very easy to burn if you look away for even a few seconds too long. But keep practicing and you’ll soon learn the kinks of your oven. Wait until the flames have died down a little. If you cook a pizza when the insides are engulfed in flames you’re going to leave a bitter taste to the final pizza and can very easily burn it. Scrape the pizza stone between uses. If you leave a little bit of fallen tomato sauce on the base it can easily cause the next pizza to stick. Wipe down your pizza peel between uses. This just helps remove any leftover food from the previous pizza and will make sliding on the next pizza as easy as possible. Find out more on Uuni’s website. 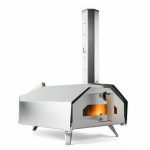 For a range of other pizza and wood fired ovens check out our list of the best wood fired ovens.